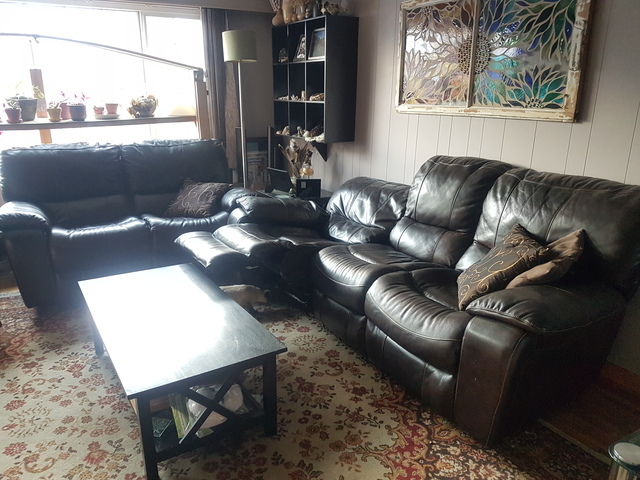 Dark brown leather couch and love seat. Both recline. Couch is electric on the 2 ends. Love seat is a little lever on both ends. In real good condition. Nice pieces of furniture. I'd prefer to sell as a set!